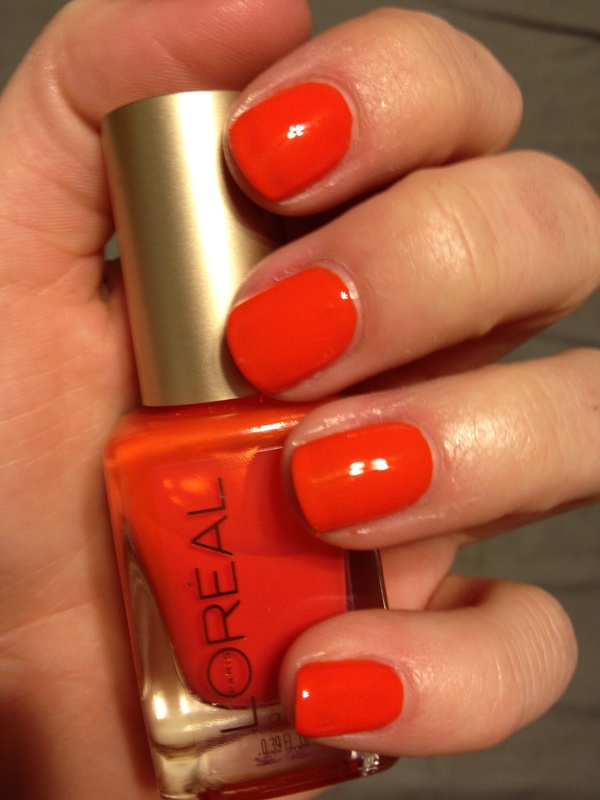 So because of my funk, I went for a polish brand that hasn’t let me down- Loreal Color Riche. 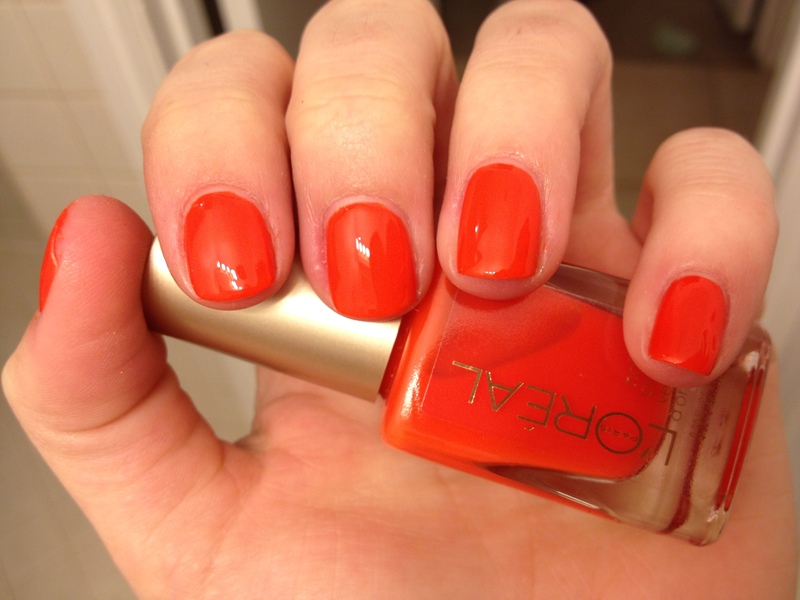 I had originally post Greycian Goddess and now I have L’Orange (3 coats). 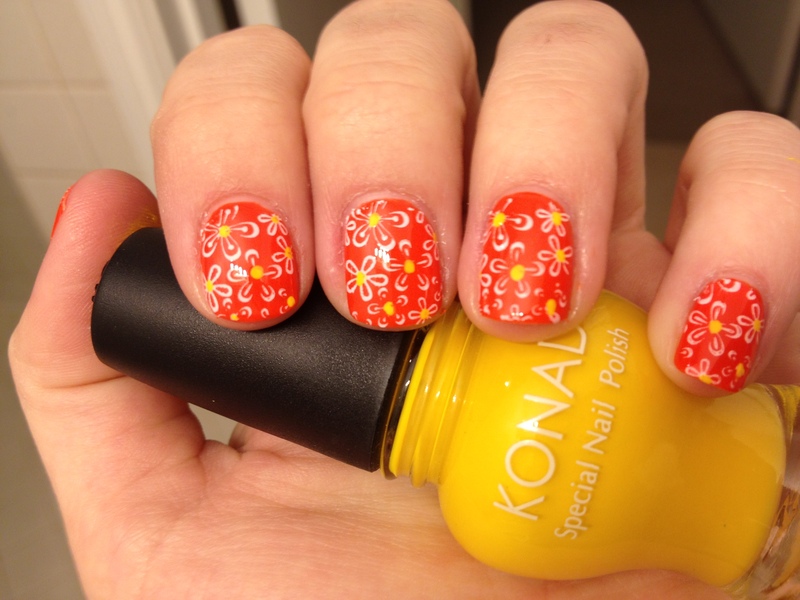 I just LOVE these polishes. The formula is awesome to work with and has this gel look to it. 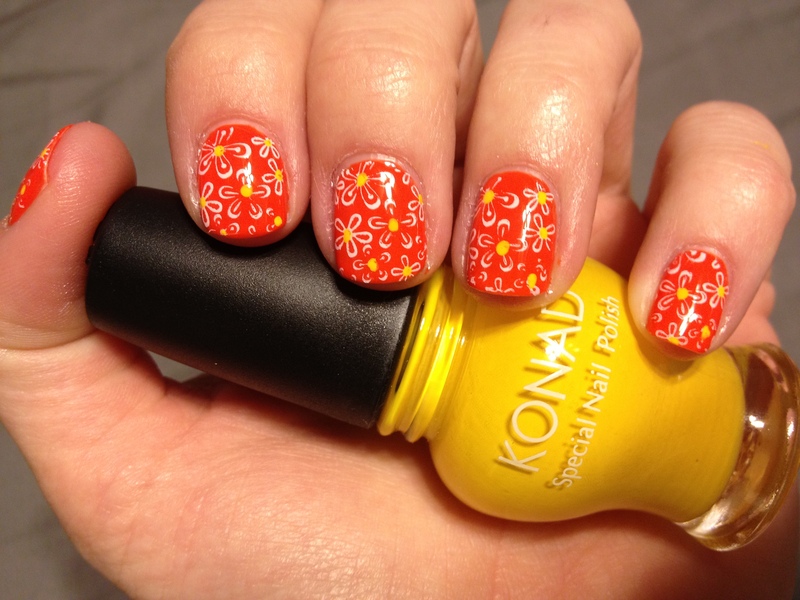 I then stamped it with BM-205 and the white Konad Special Polish. 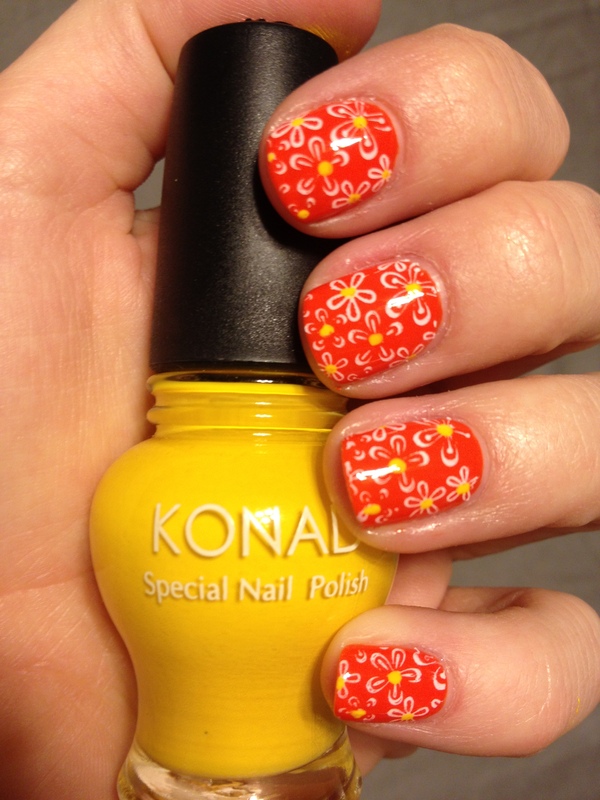 After I got the flower design, I used a dotting tool to make the center of the flowers with the yellow Konad Special Polish. 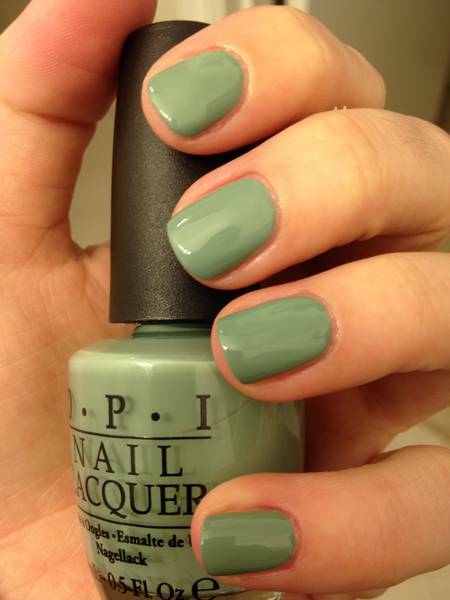 OPI I Have a Herring Problem, Dutch Ya Just Love OPI?, Pedal Faster Suzi, & Red Lights Ahead…Where? 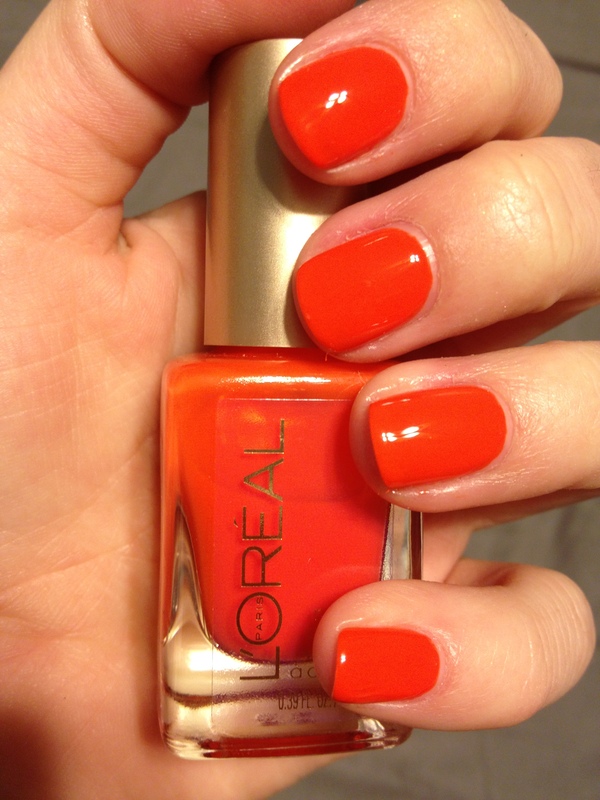 Hello polish addicts! This will be a short post but, I have finally finished swatching all my Dutch Mini’s and my mama bottles!! 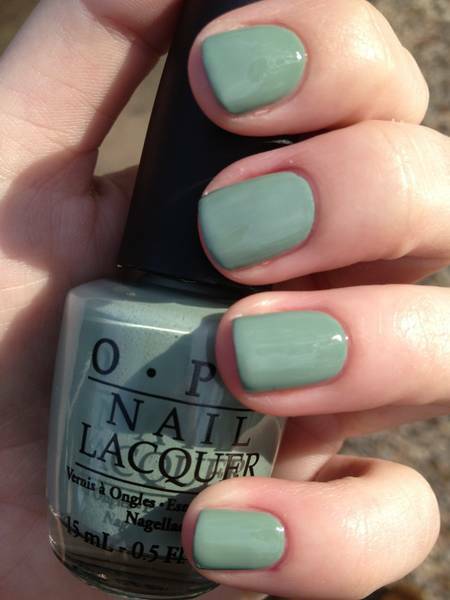 All-in-all I think my personal favorites were Dutch Ya Just Love OPI? and Red Lights Ahead…Where? 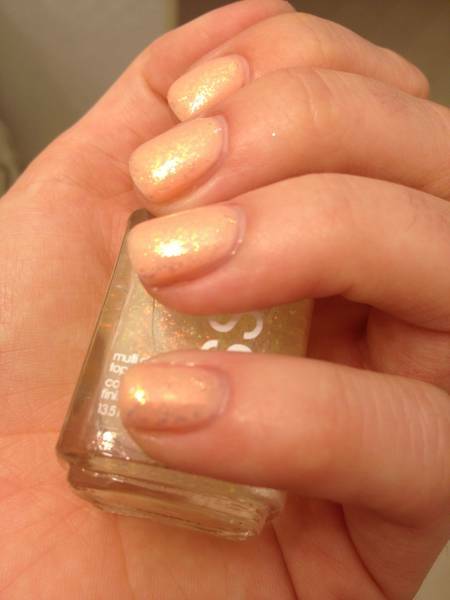 The formula in both of the were so easy to work with (even though I needed 3 coats of Red Lights) and I LOVE the gold shimmer in Dutch Ya Just Love OPI?. I was kinda disappointed in the color of Red Lights Ahead..Where?. I was wanting a sultry, dark red-like the Red Light District (yes I walked the Red Light District in Amsterdam (:) not a coral-ish red color. Pedal Faster Suzi and I Have a Herring Problem were ok, I’m not going to go back to get them in mama bottles though, nothing super special. Hope this helps anyone trying to decide on the Holland colors! 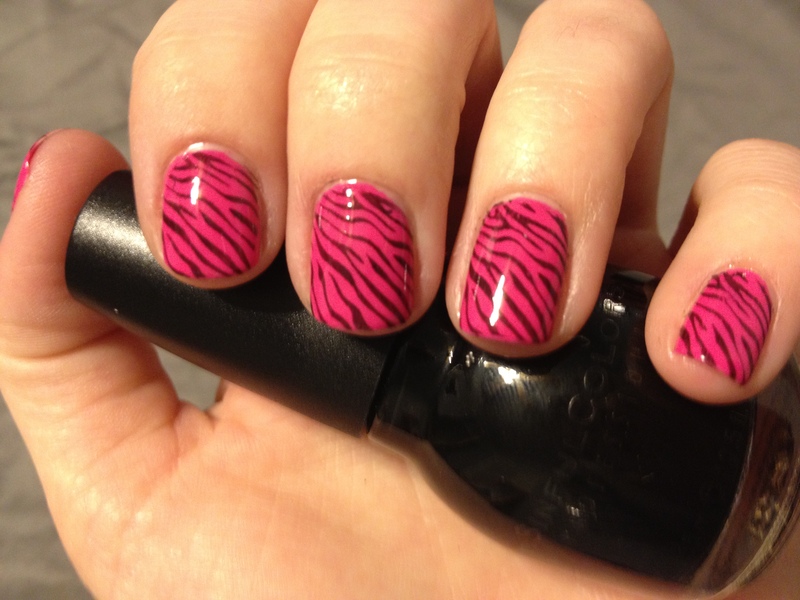 Good morning nail polish lovers! Now that my Hell Week of school is over, I can focus my free time on new manis (it is also flooding in my neighborhood right now because of this nonstop rain, so it is a perfect day to stay inside 🙂 ). 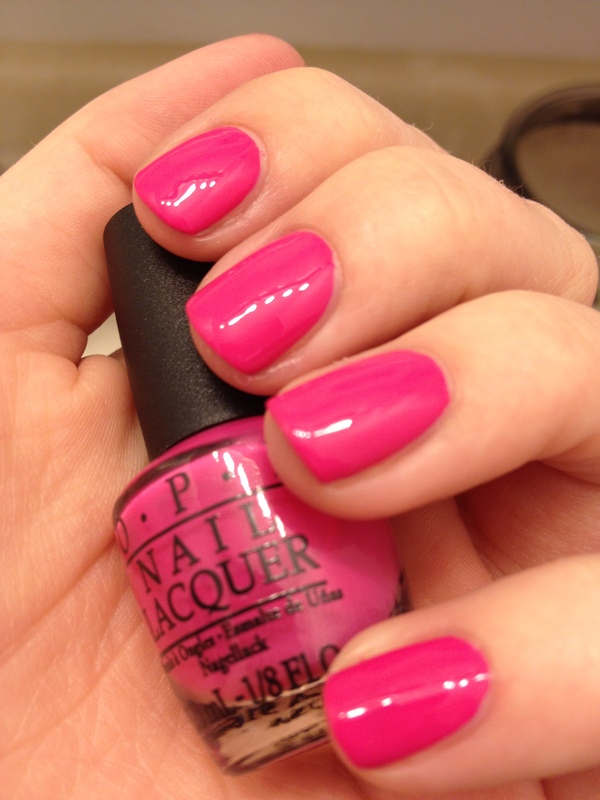 I decided to try out one of my Dutch Minis- Kiss Me On My Tulips, a beautiful magenta pink. It’s a bright pink, but not at all neon. 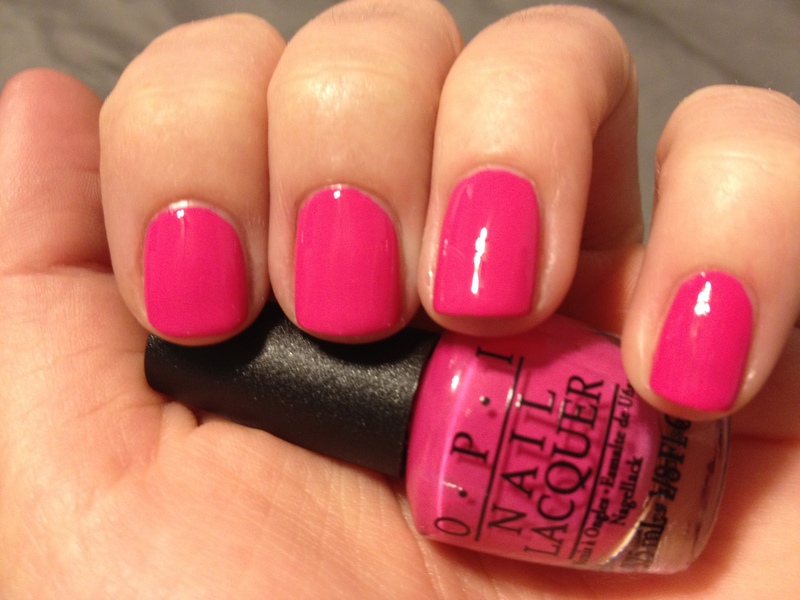 I’m not really into pinks or reds but I really LOVE this one. 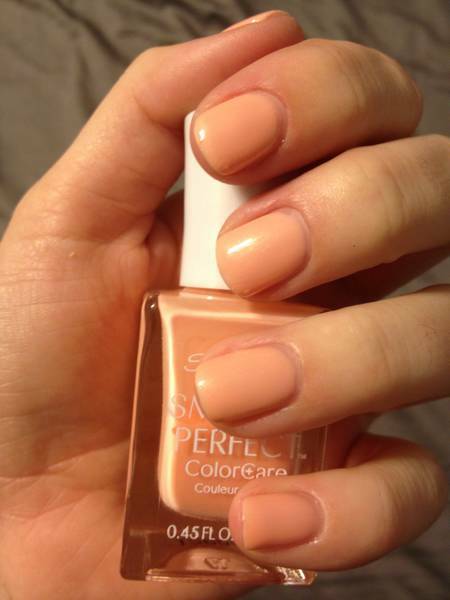 I keep catching myself looking at my nails when I’m doing something because I can’t get over the color! Hello everyone! 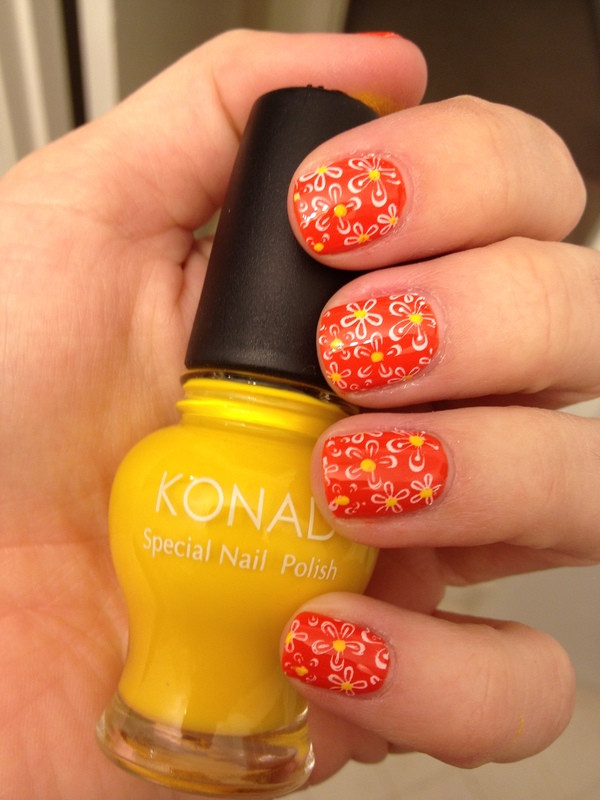 I have been super busy this past week and finally have one night of freedom to post my mani. 🙂 I have been wanting to try some different polish brands recently and came across Sally Hansen’s new Smooth and Perfect Color Care. The collection had a lot of pastel colors but this one reminded me of orange sherbet so I got it 🙂 haha The color turned out sooo pretty I think. 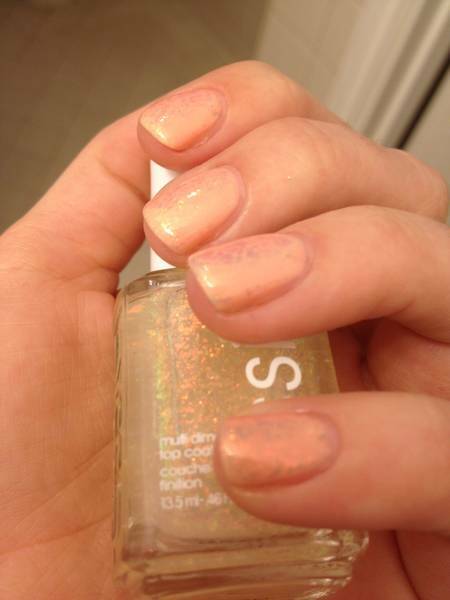 Not too bright, but also not too pale (I did need 3 coats for full opacity though). 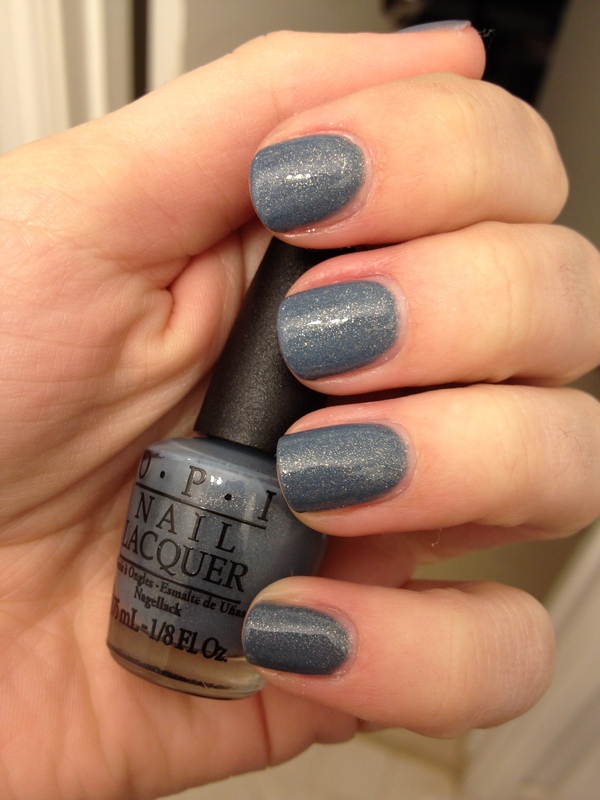 I just completely fell in love with this polish!!! 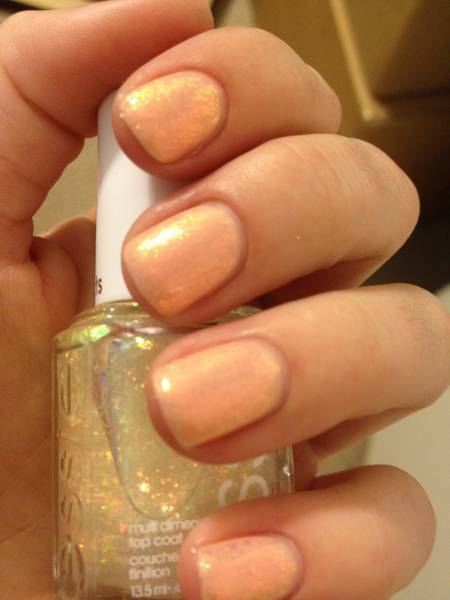 I didn’t do any stamping because I came across a beauty, Essie Shine of the Times. 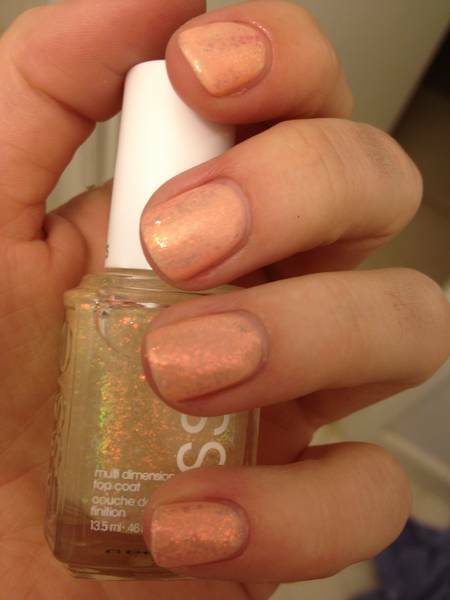 Oh…my…It has tiny little pink and gold-ish flakies. LOVE! This is my first flakie and I am not disappointed! 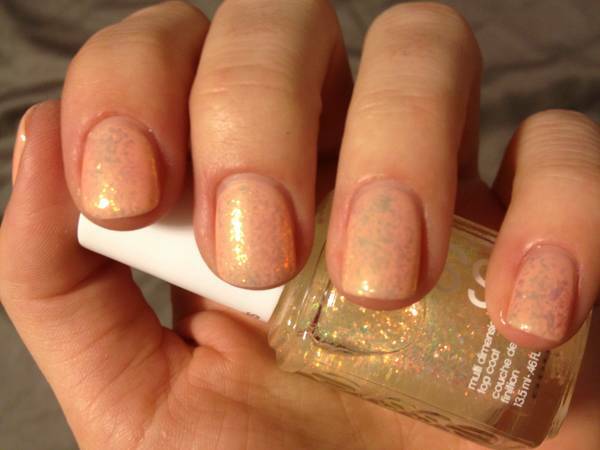 Have you tried any flakies yet? 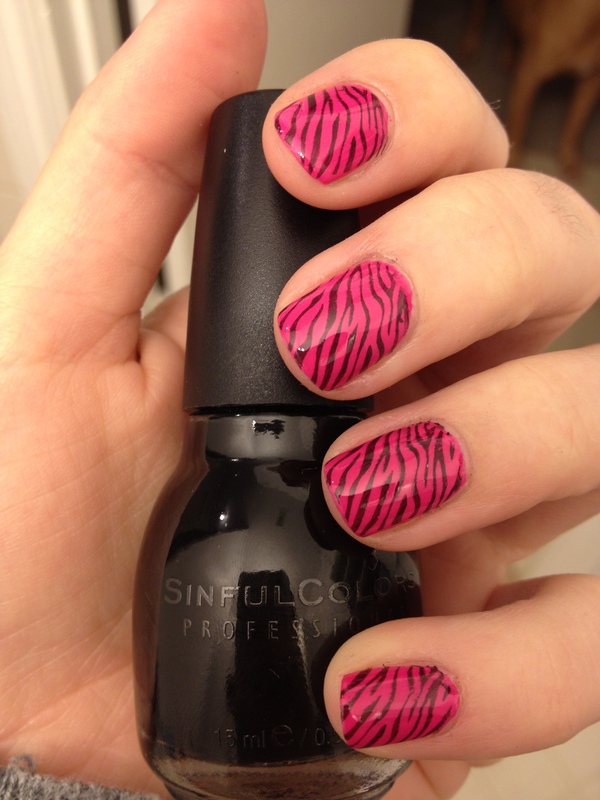 Hello nail polish lovers! 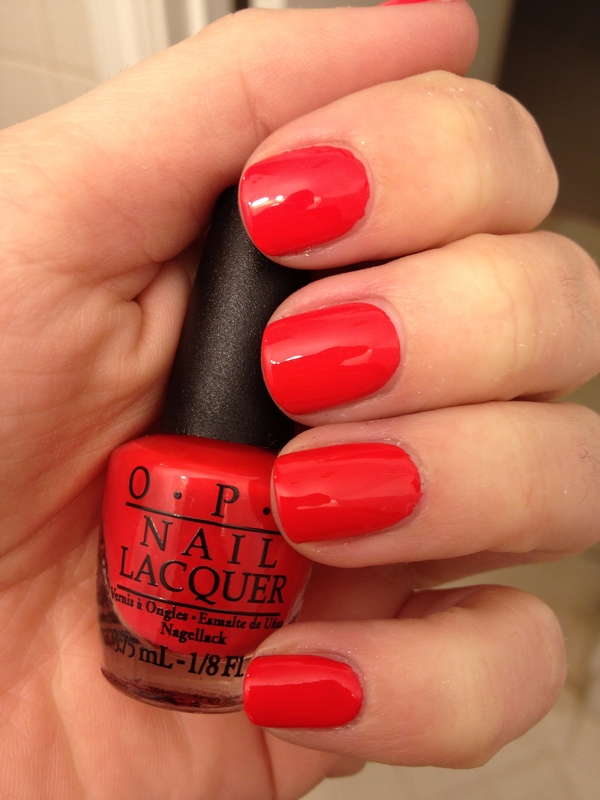 I’m really excited about this post because it’s the OPI Holland Collection! This past November I went to Amsterdam, Holland for the first time for 5 days and it was AMAZING! The city is so much fun! We met some awesome new friends, went to the Anne Frank House which left me speechless (the neighborhood the house was in was over 600 years old! ), and visited the Rijksmuseum which was breathtaking! I just fell completely in love with the city while we were there (we also spent 2 days in Cologne, Germany). 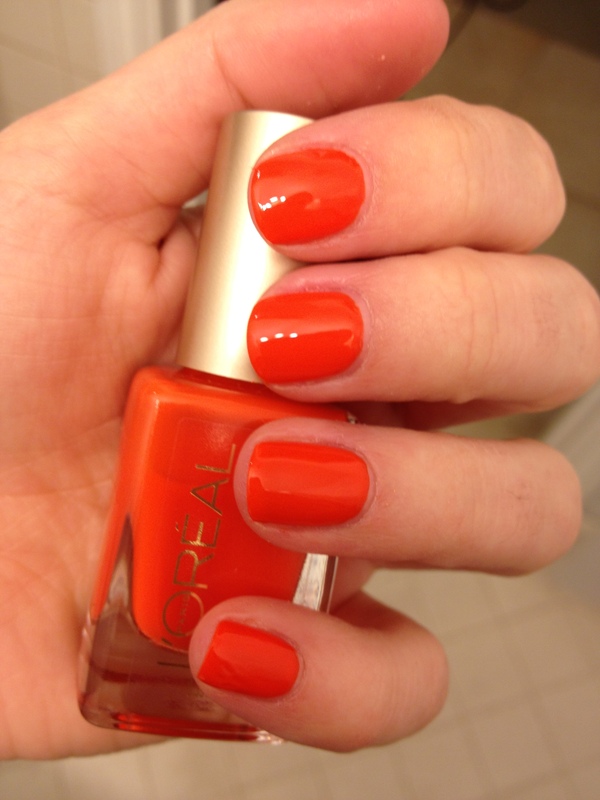 Soon after we got back to the states I saw OPI was coming out with a Holland Collection. I have been oooing and aahhing at bloggers swatches of the collection for months now and its finally here!!!!!! 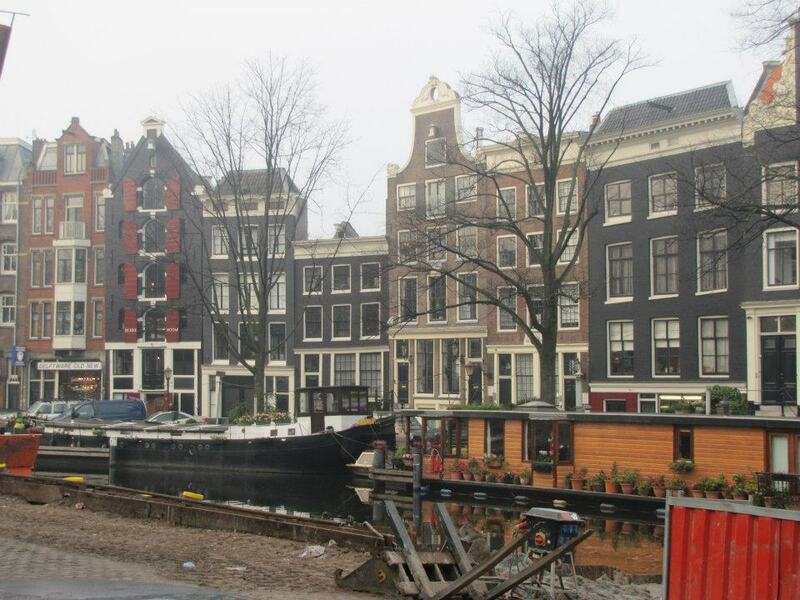 The neighborhood the Anne Frank House was in. The buildings look like they are out of a painting! 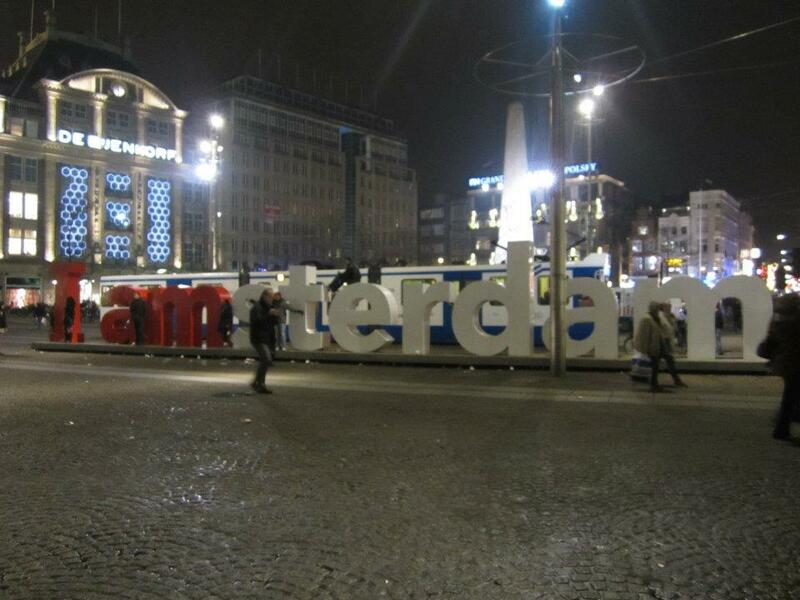 I Am Amsterdam sign. A guy walked right in front of us as we took the picture...oh well, can't win them all! As soon as I got out of class on the 8th I was at Ulta ready to purchase! I couldn’t find it anywhere and a guy that worked there said they wouldn’t get it in until the 12th (today). I didn’t completely believe him so I went to a different location 3 days later and they had it. YAY! I got the Dutch Treats that come with 4 mini bottles for $12!! 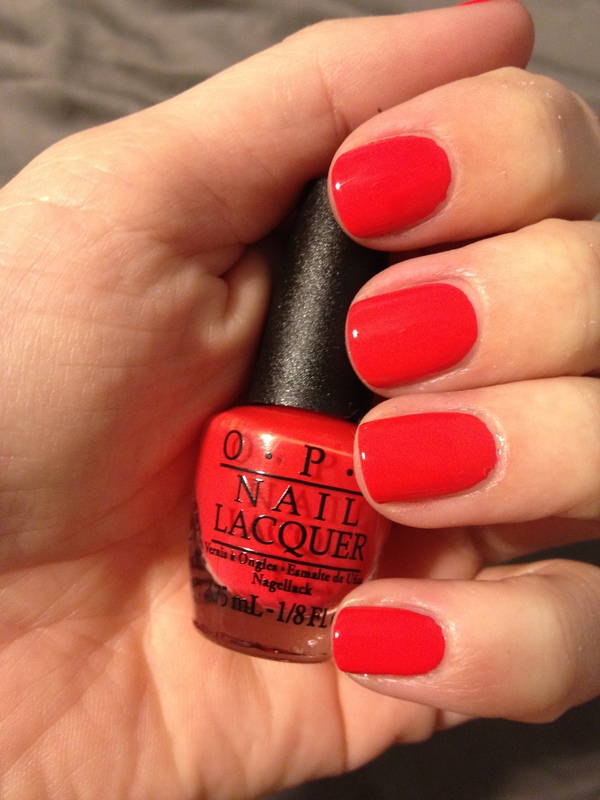 I also got 2 mama bottles of Thanks a Windmillion and Dutch Ya Just Love OPI? I can’t wait to try all these out. I love the colors and the names are so fun! 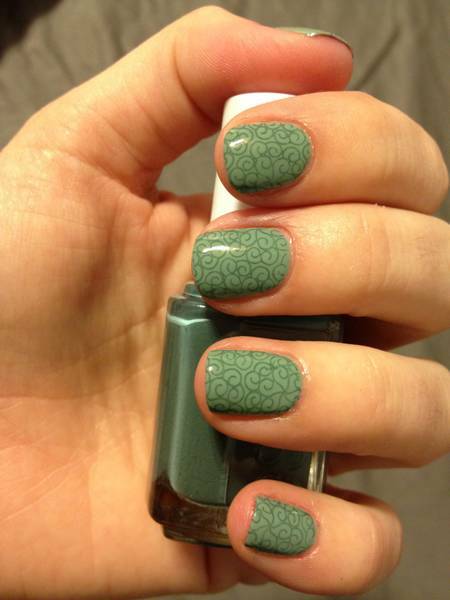 I then stamped it with BM-201 with Essie’s School of Hard Rocks. I knew when I put Thanks a Windmillion on that School of Hard Rocks would work perfect with it. I loved the way it turned out! !